The story behind "Sunset over Cho Oyu from Everest"
I finally have some time to edit some older images that never saw the light in public, but I think are worth sharing as they show the beauty of our planet and I realize not everybody gets the chance to see this personally! 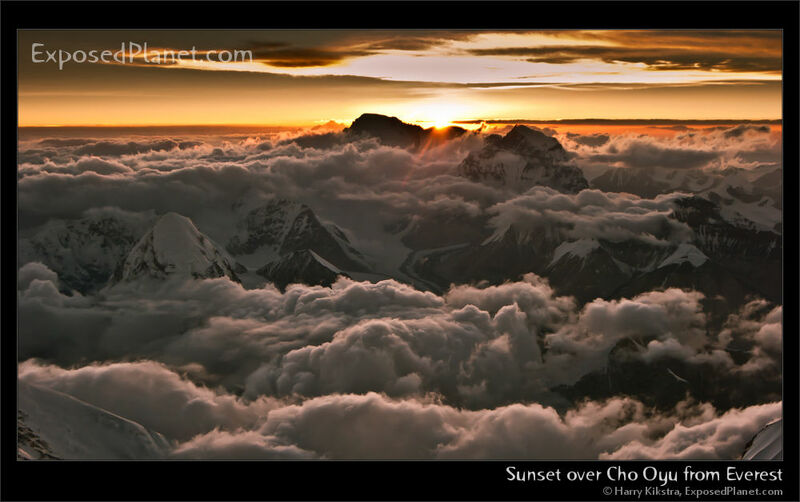 From the upper flanks of Mount Everest, the sun dips behind Cho Oyu, while Nepal and Tibet are under a layer of clouds. Pumo-Ri is visible (the big mountain that looks like the top of a space rocket).